Salvatore Quasimodo knew this well when he wrote his Praise of Amalfi, which was not so. Because the shores of the sea of ​​the city offer suggestion and enchantment. 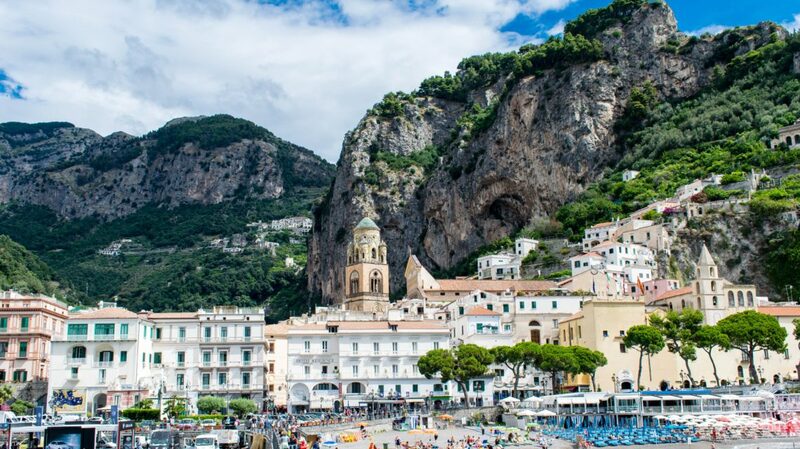 The origins of Amalfi are surrounded by the clouds of legend. In fact, there are numerous legends about the foundation of the city: in any case they all have Roman origins in common. This is also demonstrated by the findings of archaeological remains of the imperial age, including the nymphaeum of a villa probably built at the time of Emperor Tiberius. 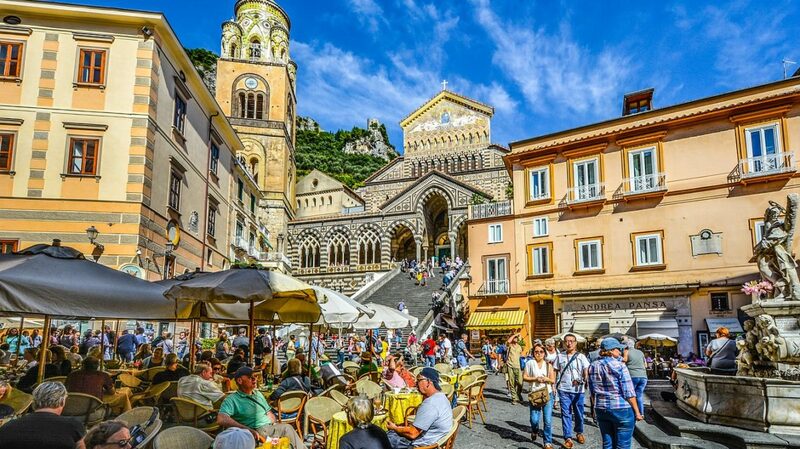 The toponym “Amalfi” is, moreover, of sure Latin extraction: it, according to the saga of main origin, derives from Melfi, a Lucanian seaside village abandoned by some Roman refugees in the 4th century AD . ; or it could correspond to the surname of a Roman gens of the first century AD (Amarfia). 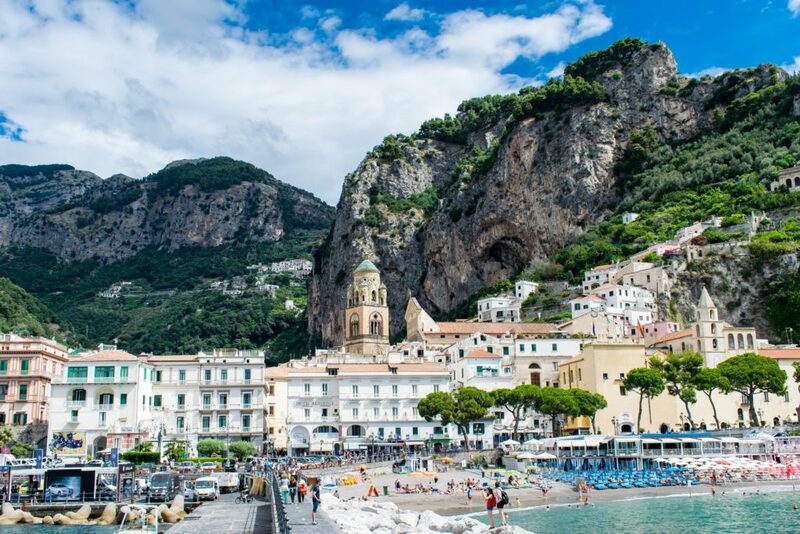 “Amalfi is all over the sea … An open sea, immense, where two gulfs unite and mingle … The whole city is a large balcony lashed by a dazzling sun”. Thus wrote the great Amalfit journalist Gaetano Afeltra about his city, able to merge the glories of the past with the scent of the sea and lemons. The majestic cathedral, the enchanted cloisters and the ancient squares with the exclusive hand-made paper crafts, the artistic ceramics, the limoncello, the sandals. All amalgamated by the rich folklore of the events: the celebrations of Good Friday, Christmas and New Year, the Historical Regatta and the Byzantine New Year. And then the gastronomy, a sharecropping between innovation and tradition, and its beaches, authentic jewels that the sea has carved at the foot of the rocks burned by the sun. The Monti Lattari constitute the mountain range of the Amalfi Coast, of the Sorrento Peninsula and down to the Isle of Capri. 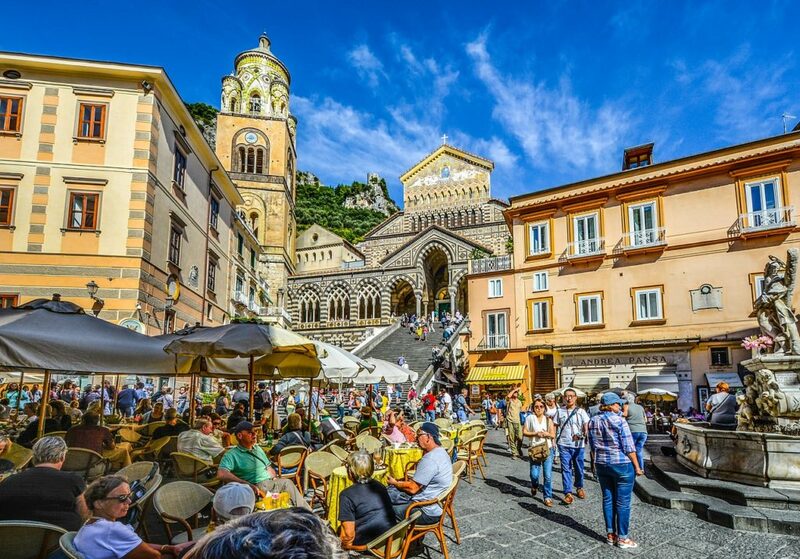 The area of ​​Amalfi is characterized by a dense network of paths, composed of about 530 km of paths, mostly stairs, which served to connect the ancient Duchy and to reach the fortified cities built on its high peaks, which they also reach 1444 meters. It is an important heritage for our city for the naturalistic richness it manages to express and for the scenic beauty that it can give to those who follow these paths. Specifically, the trail network consists of the 70 km long Alta Via dei Monti Lattari, which crosses the entire peninsula starting from Cava dei Tirreni down to Punta Campanella, to which other 124 paths are connected. It is a unique opportunity to discover the Amalfi Coast which every year attracts thousands of visitors.